Before you proceed, it is good idea to open the new quote maker on new window so you can quickly try it after reading this article. The most distinctive changes compared with the previous version is the user interface. We need to make it much more simple and streamlined so that in the future the new tools and options can be added without making the interface cluttered. This means we have to reorganize it. And we think that the best approach is using tabbed navigation. So in the future we can add many new toolset in the left and more option as a tab. This undo and redo button is so buggy and rarely used by user since the prev and next button on each graphic component is much more useful to tweak. We hide it for now, fix it, and will put it back once everything is stable. For now, prev and next button on each graphic component are a robust option. There is tons of nice looking fonts in our library, and showing them all will just make user confused and make the page load slower. 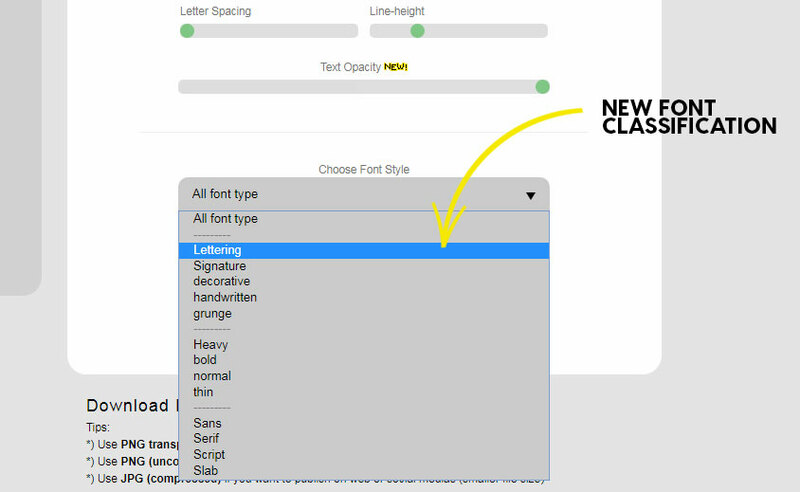 So we invent font classification dropdown. Instead choosing specific font, user can iterate many fonts based on the looks and characteristic of fonts. And now we just make it better with new classification. This will output an isolated text only png. This usually used for apparel printing. For example on clothing, mug, hat, something like that. By using isolated text, the design will blend seamlessly into your print media. No more boring rectangle picture. This will output highest quality image in PNG format. You can use it for prints. For example poster, leaflet, books, etc. But beware that since it is the uncompressed version, the file is big. The last one is compressed JPG. This reduce the file size significantly without loosing much of its details. Use this for digital needs. For example any social media post, or website graphic. You can use this on your presentation or youtube too. 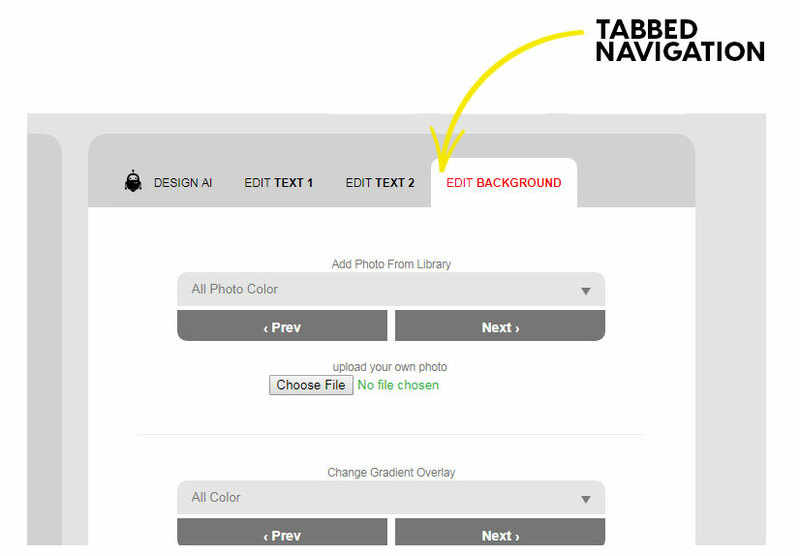 Quotescover is a tool to create a free for commercial use graphic. To make this happen we selectively choose the graphic component (font and photograph) that also has CC0 Free for commercial use license. 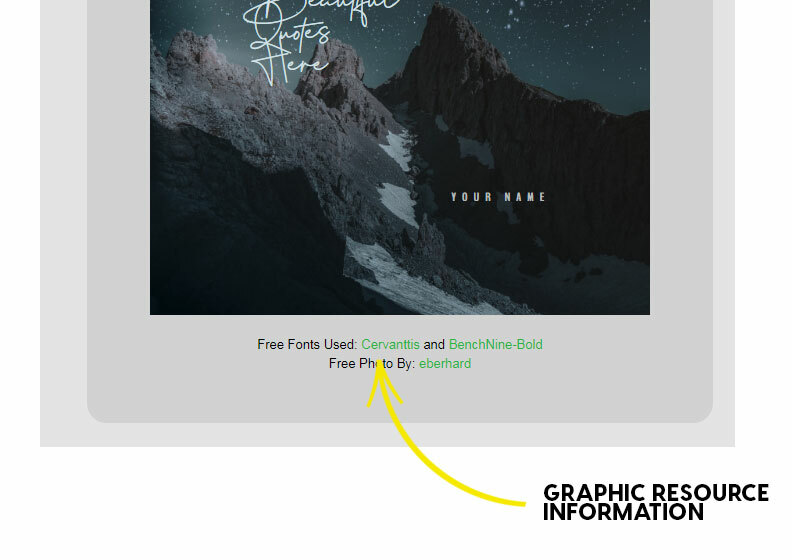 We valued the generous graphic and font author so that their name and product appear on the application. For end user, this feature is also usefull to double check the license. Under the hood there is a major improvement. We redesigned the algorithm of background generator and font combination, adding more artistic font and backgrounds, And the result is more intelligent generator which lead to more beautiful image generation on each iteration. You should feel that in version. Another new improvement in terms of coding is we make it slimmer and works on all device in a single code. This should make it faster to load on both desktop and mobile. 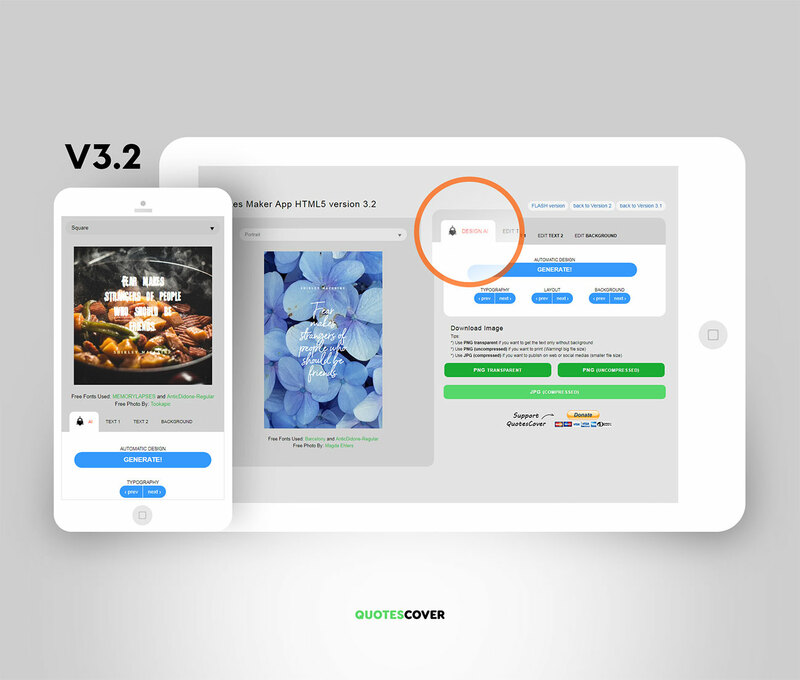 We believe that this updates is a good starting pont towards a much more sophisticated Quote Maker we list on our plans. But in case it doesnt work for you, you could always revert back to the older version by clicking the version on top right corner of the page. We listed all of previous version there.